Our last day of the retreat is always bittersweet. We have seen our friends again, some whom we haven't seen in a year, and have worked on new projects and now we have to get back to reality. Not that that is a bad thing, but we have had a ton of fun!! Justine brought along her Village on the Green to work with and it is looking might nice. I began my Stepping Stones project after finishing Desert Sky. I am doing this all in Kaffe Fassett fabrics. The patterns can be found here and the fabrics here. Carol was working on a batik quilt. I am really liking the look. 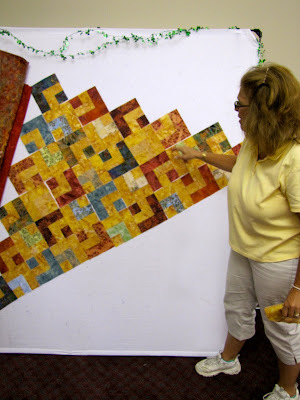 Barbara was in the process of making another quilt using repro fabrics. Very nice! Carol was the BIG winner. She won a fantastic basket filled with all kinds of quilting goodies. 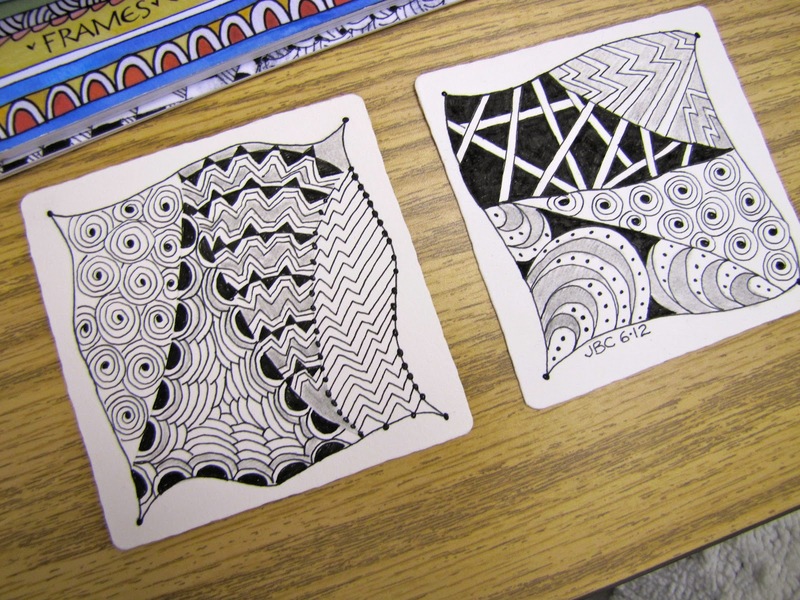 Justine decided to take a little break and made a few Zentangles. I especially like this one... it sums up our weekend. I hope you enjoyed following along on our retreat.